The company was established since 2011 catering to the rising demand of the marine & offshore industries and we are strategically located which enables our mobilization to major ports such as Port of Tanjung Pelepas, Port Klang, Johor Port, Tg Langsat, Melaka, Kemaman, Kerteh, Bintulu, Labuan & Penang in Malaysia within a short timing. 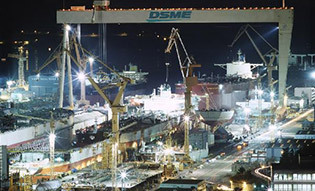 We specialized in structural steel and pipe repair & fabrications, emergency ship repairs on afloat/on voyage/alongside berth, provide lay-by berth/lay up services, barges/floating cranes, offshore and onshore fabrication/repair works, mechanical repairs, product/spare parts distribution and supply, HVAC repair and troubleshooting works, machining works and forge material supply, pipe and STS hose testing services, hydraulic and pneumatic works and etc. We are committed to the constant improvement of our organization in providing excellent services, reliable & safety practices, better cost saving & environmentally responsible to our esteemed clients. Ensure repairs/supplies are conformed to standard safety practises, completion of works timely and minimize ship downtime are our main focus. To be one of the leading marine ship repair and offshore, oil and gas fabrication organization in South East Asia for ship owners, managers, oil and gas companies, representatives and agencies by providing a speedy, safe & clean, organized and cost efficient works within 75% of our range and towards 95% of customer satisfaction.